It was cold. Colder than the month of November usually felt. The rain dripped wet, and the smell of honeysuckle hung in the air. How could we have known that Noirvember could sometimes smell like honeysuckle? This month we’re participating in the month-long celebration of all things Film Noir with Noirvember. 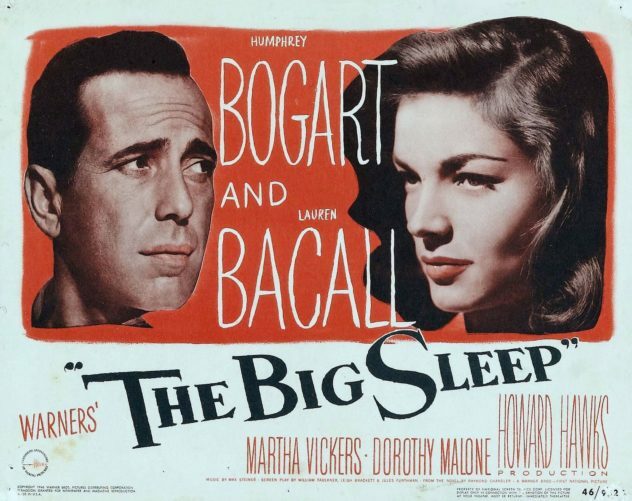 We start off with a look at two of the most iconic films of the genre: The Big Sleep and Double Indemnity. Based on the novels by Raymond Chandler and James M Cain respectively, these are the two Noirs we’re most familiar with. They serve as our gateway into a month of exploration and education with the cinematic style that’s so hard to pin down. So grab a stiff drink, steer clear of those dangerous dames, and join us this Noirvember. In the midst of all things Noir this month, don’t miss out on a wonderful new web series from actor, writer, director Tarek Gader, Preshift! The first three episodes are available on YouTube, so check it out and subscribe! You can also find Preshift on Twitter and Instagram.